Are you looking for a workout that will put a smile on your face today? This fun and exciting dance party workout with Ben is guaranteed to having you grinning from ear to ear even though your exercising and working every muscle in your body! These simple and contemporary moves can be done at home, with friends, or even with your kids if you want to find a way to get active as a family! You’ll be laughing and having a great time even as you break a sweat. 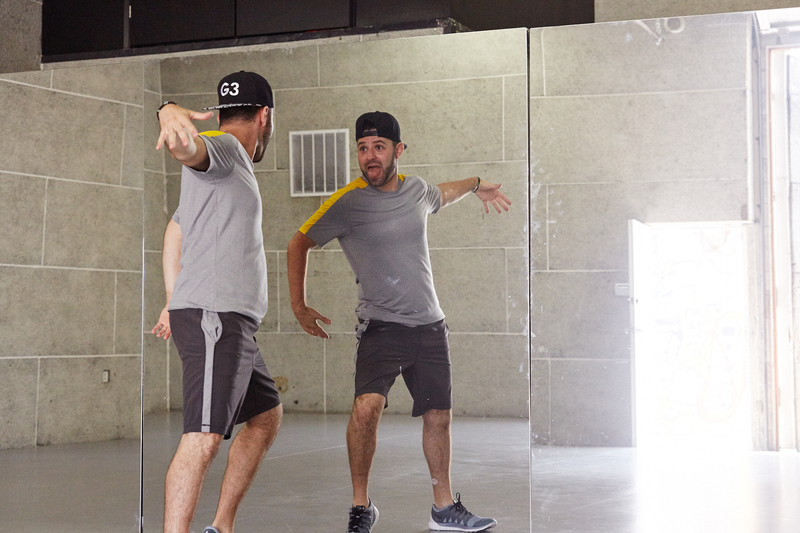 And as usual with Ben’s dance workouts, these moves will have you looking like a pro dancer in no time. You’re sure to impress your friends the next time you’re out and about! If you enjoyed this video dance workout, you might enjoy trying some of Ben’s other dance segments! For some starter moves that will get your heart pumping, get up and give it a try with this workout! To break a sweat and burn calories quickly, click here! Or maybe you’re someone who wishes you could celebrate the holidays year-round, try Ben’s holiday inspired dance moves to get back in the holiday cheer!